It is comparatively easier to take portrait shot in bright day light than in dark or low light condition. Taking portrait shot in dark or low light condition is challenging because you have to adjust two lights while taking picture; one is ambient light and the other one is flash light. In daylight shooting, you don't have to worry much about flash light (except fill light) and you don't have to deal much with shadows and colors of different lights. But while shooting in dark, you have to be extra careful with presence of very few or no ambient light, different artificial colors (street lights or other artificial lights in the environment), colors of those lights, shadows etc. Taking portraits at night is difficult but fun as well. As I mentioned earlier, you have to understand how ambient light and flash work together. Ambient light is whatever light present in the environment and flash light is artificial light produced by using light strobe or flash gun. The flash light has a very short duration and thus shutter speed has no role in the overall exposure it gives. You have to remember that aperture controls flash lights and shutter speed controls ambient light; this will make life little bit easier. But having said that, it doesn't mean that aperture can't be used to control ambient light. It's just simple and easy to implement if you remember those theories. Therefore, any shutter speed slower than the maximum shutter speed (also called Flash Sync Speed) can be used with flash. Please keep in mind that different camera model has different "max sync speed" value for shutter; usually 1/200th of sec or 1/250th of sec. You can experiment with different aperture value to adjust flash lights and change shutter speed to change the brightness of the background. The longer the exposure, more ambient light passes through the lens and hence producing brighter background. Sometimes, while working in auto mode (TTL flash), you might not get result you want and it's better to control your camera and flash manually. You also have to be careful about the choice of the lens. Normally, longer lenses are preferred for portrait shot. 1. You can try wide open aperture to create nice and soft bokeh in the background which also helps throwing confusing background out of focus. You may have to adjust your light settings because wider aperture allow more light into the sensor. 2. Location is not that much important for portrait as your main subject covers almost entire frame (most of the time). 3. You can also try off-camera flash so that you can play with direction and quality of lights. 4. You can also use colored gel which gives different mood to the photographs depending on which color you are using. 5. If you get lots of shadows, you may want to try bounce flash instead of straight flash. 6. You can also use kicker flash (normally used behind the subject which helps to separate subject from the background). You can see the difference in Shutter speed and ISO value (among these two photographs) which changed the amount of light coming to the sensor and hence changing overall brightness of the picture. You also have to be careful about choosing ISO value; higher the ISO value, more digital noise (grainy dots) will be present in the image. If you want to learn more about the ISO and the digital noise, you may want to read my previous posts Understanding ISO in Digital Photography and Dealing with Digital Noise. When you go shopping for a digital camera, you have to deal with lots of technical terminology and the specification about the camera. And most of the times, these terminology and specifications set the price and the quality of the camera. When you are comparing various digital cameras, even within same brand, you will notice some of the features are available in one camera model and not in another one. But before you compare different bodies based on these technical terms, I think it would be better to learn about these terminology first and I am here today to help you understand the differences between CMOS and CCD sensor type used in camera body. Whether it's a digital camera or a conventional film camera, they share same basic principle which is collecting the lights (reflecting from the subject) which travels through the lens and focus them on the digital sensor or film inside the camera body. Only the difference is that the traditional film camera uses light sensitive films to record the image whereas digital camera uses digital sensor. When you are using a film camera, you have to further process the image using chemicals to get the final image but in case of digital camera, when light hits the digital sensor, it will be converted to electrons (photons) and camera software processes them instantly inside the camera and gives the results. The digital light sensor is divided up into many small arrays of the receptor cells. Every receptor in the array is equivalent to one pixel and it is the pixels that create an image. More pixels we have, better picture quality we get because of the wide spectrum of lights hitting on the entire sensor. One simplified way to think about the sensor used in a digital camera is to think of it as having a 2-D array of thousands or millions of tiny solar cells, each of which transforms the light from one small portion of the image into electrons. Both CMOS and CCD devices perform this task using varieties of technology. 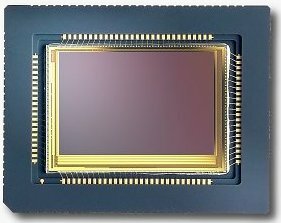 Today, most of the digital cameras use either a CMOS image sensor or a CCD sensor. Both types of sensors accomplish the same task of capturing the light and converting it into an electrical signal. A CMOS (Complimentary metal-oxide semiconductor) chip is a type of active pixel sensor made using the CMOS semiconductor process. Extra circuitry next to each photo sensor converts the light energy into a voltage. Additional circuitry on the chip may be included to convert the voltage into digital data. A CCD (Charged-couple device) is an analog device. When light strikes the chip, it is held as a small electrical charge in each photo sensor. The charges are then converted into voltage one pixel at a time as they are read from the chip. Additional circuitry in the camera converts the voltage into digital information. CMOS sensors are cheaper and easier to manufacture than the CCD chips and have a great battery life. Also, they can be fabricated on just about any standard silicon production line. This is one of the key reasons behind the falling prices of digital cameras recently. Generally speaking, digital cameras that use CMOS chips are usually lighter than their CCD counterparts. However, CMOS chips do have their drawbacks as they are less sensitive to the lights and more susceptible to the digital noise, whereas CCD sensors create high-quality and low-noise images. CMOS sensor traditionally consumes little power whereas CCD sensor uses more power to operate. It consumes as much as 100 times more power than an equivalent CMOS sensor. Once upon a time, digital cameras utilizing CMOS were regarded inferior in terms of the image quality, but today however, many popular digital cameras and video cameras are increasing in popularity as CMOS technology improves. For example, Foveon's new X3 image sensor, a CMOS sensor, which is capable of recording all three colors (red, green and blue) at every cell. CMOS technology allows other circuitry to be incorporated into the same chips, making them useful to a manufacturer for the use in other electronic applications. Conclusion: CCD sensors tend to be used in cameras that focus on high-quality images with lots of pixels and excellent light sensitivity. CMOS sensors traditionally have lower image quality, lower resolution and lower sensitivity to the lights but usually they are less expensive and have a great battery life. CMOS sensors are now improving to the point where they can compare with CCD devices in some applications. Visual image noise is the random grainy effect on the photograph which is disturbing most of the time rather than pleasing. 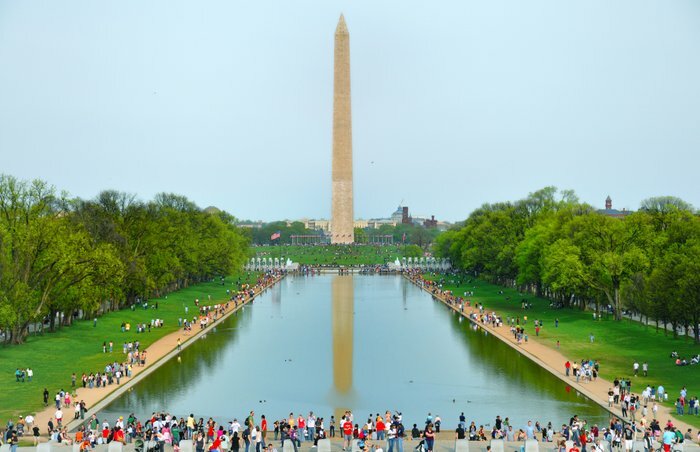 If these grainy dots, also known as a digital noise, are noticeable or objectionable in the photograph, it can ruin the beauty of the photograph by distracting the viewers mind from the subject. Digital noise is mainly caused by either high ISO settings or a long exposure shooting. Let's discuss these two main factors which contributes to the production of the digital noise. High ISO noise commonly appears when you raise your camera’s sensitivity setting above ISO 400. Different camera’s sensitivity level with light differs from one another and sometimes it determines how good your camera is with the lights. With the Nikon D90, noise may become visible at ISO 800, and is often fairly noticeable at ISO 1600. And at ISO 3200, noise is usually quite bothersome. Nikon advises that using ISO 6400 in special situations like very low light condition may help you but you should consider labeling it H1.0. You can expect noise in any pictures taken with that ISO level which is obvious. High ISO noise appears as a result of the amplification needed to increase the sensitivity of the sensor. While using higher ISO settings do pull the details out of the dark areas, they also amplify non-signal information randomly, creating the noise. You’ll find a High ISO NR option in the Shooting menu, where you can specify High, Norm, or Low noise reduction, or turn the feature off entirely. Enabling the noise reduction tends to soften the grainy look, you may want to disable the feature if you‘re willing to accept a little noise to get more details in your picture. A similar noisy phenomenon occurs during the long time exposures, which allow more photons to reach the sensor, increasing your ability to capture a picture under low-light conditions. However, the longer exposures also increase the likelihood that some pixels will register random phantom photons, often because the longer an imager is, the warmer it gets, and that heat can be mistaken for photons. There’s also a special kind of noise that CMOS sensors (like the one used in the D90) are potentially susceptible to. With a CCD sensor, the entire signal is conveyed off the chip and funneled through a single amplifier and analog-to-digital conversion circuit. Any noise introduced there is, at least, consistent. CMOS imagers, on the other hand, contain millions of individual amplifiers and A/D converters, all working in unison. Because all these circuits don’t necessarily call process in precisely the same way all the time, they can introduce something called fixed-pattern noise in the image data. Fortunately, Nikon has done an exceptional job minimizing those noises from all causes in the D90 and other Nikon DSLRs. Even so, you might still want to apply the optional Long Exposure Noise Reduction that can be activated using “Long exp. NR” in the Shooting menu, where the feature can be turned On or Off. When the Long exp NR feature is turned on, D90 takes a second blank exposure and compares the random pixels in that image with the photograph you just took (first image). Pixels that coincide in the two pictures represent the noise and can safely be suppressed. This noise reduction system, also called dark frame subtraction, effectively doubles the amount of time required to take a picture, and is used only for exposures longer than one second. Noise reduction can reduce the amount of details in your picture, as some image information may be removed along with the noise. So, you might want to use this feature with moderation. If you shoot in a RAW mode, you can also apply the noise reduction to a lesser extent by using post processing software like Photoshop, Lightroom, CaptureNX2 or Aperture later on the computer.